‘Not What You Think’ 2010 (Toilet, cistern, mat, toilet roll holder, action man, hand knitted gown). This installation was a response to a brief on containment. 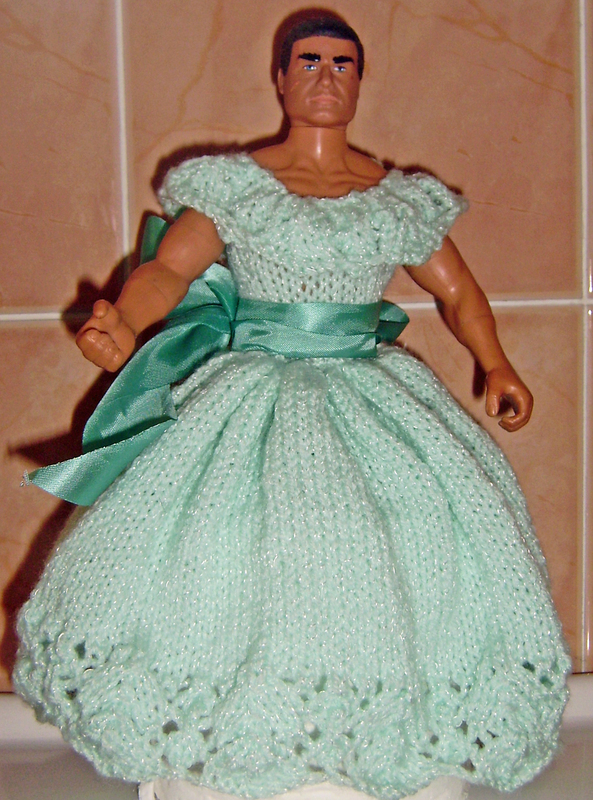 Action man, resplendent in green, hand knitted frock, conceals a spare toilet roll, in the style of 1980’s crinoline dolls. An era obsessed with the ‘prettification’ and concealment of all things pertaining to bodily functions. 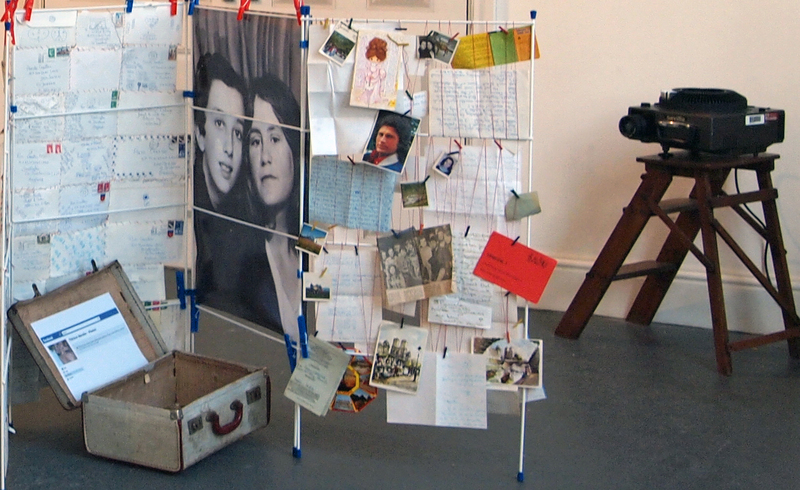 ‘Air Mail’ 2012 (Clothes airer, letters, photographs, pegs, wooden steps, slide projector, suitcase). An installation for the ‘Sight on Site’ Exhibition at the New School House Gallery, York. Air Mail comprises personal artefacts, household objects and slide projector. The work is concerned with personal histories, memories and communication, centering on correspondence from Thérèse, my French penpal between 1973 – 1978. It celebrates the endurance of friendship, engendered by letter writing during that period. Artist, Zeigam Azizov attended the show and praised the level of exhibits; he declared the standard higher than those he had recently viewed at London’s Goldsmith College and St. Martins. He also liked York.